What Are The Important Factors To Effective Learning? As the image indicates, there are several important factors to consider when teaching a foreign language. The three on the top – age, language aptitude & IQ, and past learning experiences – are all things we as an institution cannot dictate or alter. So it is our job then to focus on those four factors in blue below the centre line: motivation, attitude, personality, and learning style. Focusing on these areas allows us to create a worthwhile program fit for a wide range of students. With increased motivation, a child’s attitude towards learning will heighten correspondingly. Likewise, by carefully planning out our teaching approach we can make a program to fit various learning styles and personalities. What are the keys to motivating a young learner? A full day at GVSP means 6 different lesson times and each one provides the children with a different opportunity to experiment with language. From circle time ESL lessons, textbook or workbook lessons, computer time, creative projects, gym, and music lessons each week we offer a wide range of learning opportunities for our children, all of which are designed to be active and student-centred. For an adult ‘games’ mean playing, but for children games are a perfect way to learn without realising you were learning. The more something feels like work to a child the less they will be willing to freely engage in it. We use games to put the lessons into the hands of the children and let them experiment with the language on their own. Children, unlike many adults, love to put their hands into all kinds of sticky things. This is a very important part of the learning process! But this is not only limited to our creative project time each week, which ranges from crafts, to science experiments, to cooking, but also in every lesson throughout the day. Getting their hands dirty also means putting the language into the hands of the child and letting them work through the process of using it themselves. One of the great prides of our program is the high quality staff we employ. 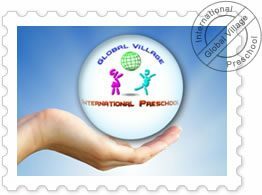 Unlike most of the Saturday programs in our area, the majority of our teachers are carefully chosen from within our weekday preschool (Global Village International Preschool) both for their experience and expertise. One main aspect of their selection is the deep understanding of the important role encouragement plays in motivating a child. If a child goes home feeling they’ve done a great job they will be more inclined to keep applying themselves to the task. It is our role as an institution to instill this confidence in each and every one of our children so that they will come to a place where studying English becomes their own choice, rather than something that was chosen for them. What learning styles are important to address in young learners? We have thus structured our lessons to address all three main types of learners: the visual learners who learn by seeing, the auditory learners who learn by hearing, and the kinesthetic learners who learn by doing. We use flash cards and real life images as well as solid examples they children can ‘get their hands dirty’ touching for those who learn by sight. For the audio learners we have native speakers of English as well as authentic materials from the western world such as educational films and music. And for the kinesthetic learners we have developed a program based around a student-centred core that allows the children to interact, or ‘do’, the language tasks themselves. The Global Village Saturday Program is a program designed to motivate children and address the major learning styles so that all children can come into the classes and learn freely and comfortably. We believe that nothing worth learning can be mastered with little effort and thus it is our mission to provide your children with a place they will be happy to return to for years to come. As they continue working and building on the foundation of their language skills we will be here to encourage and support them every step of the way!